Its available to use as wallpaper (click the wallpaper post it button below) and has become the Official House of Steam image. 2 girls… hence the name girl ramp, always at least 2. Creature from the Black Lagoon and Kay! 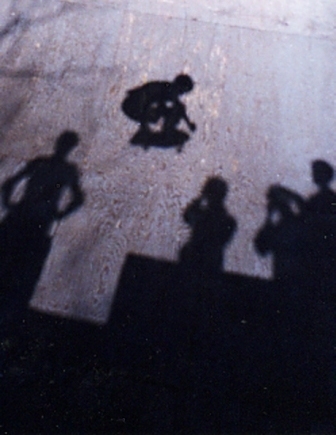 Ben managed to snap this killer shot same trick same day. 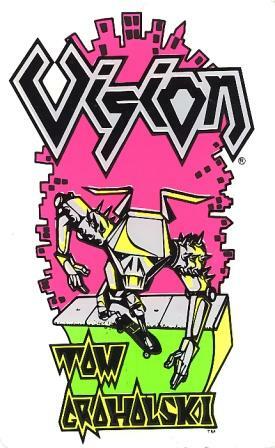 If Dagnasty ever wants to make a new record then The House of Steam is sitting on the next album cover. 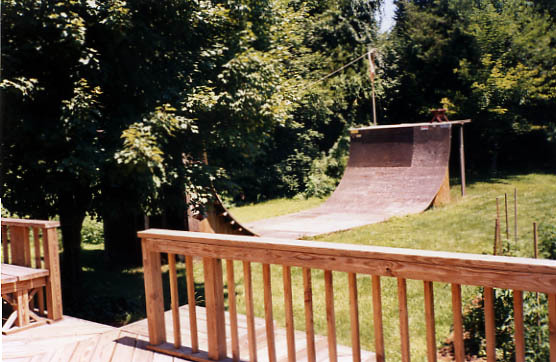 Hmmm… The ramp had a giant Dagnasty written across it and 2 girls would hang out on the deck. What do you call the ramp? The Girl Ramp naturally. That makes alot of sense really. 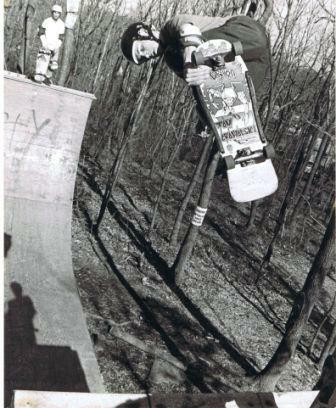 This entry was posted in 1986, Ben Cornish, Dan Tag, DJ VertOne, four 4, Jason oliva, Jimmy Kane, Photos by Ben Cornish, Photos by Jason Oliva, SPOTS:, Stevie “D” Manion, TEAM STEAM, The Girl Ramp, Tom Groholski and tagged ART, backyard ramps, boards, east coast, house of steam, jason, Jason oliva, jasonoliva, New Jersey, New York City, oliva, paintings, photography, pool Skating, ramp, ride, sk8, sk8t, skate, skate decks, skate history, skate photography, Skate ramps, skate trucks, skate wheels, skateboarding, skateboarding history, skateboarding photography, skateboards, skatepark, skater, SKATERS, steam, Street Skating, TEAM STEAM, The Barn, The House of Steam, thos, Tom Groholski, vert, vert ramps, Vert Skating on August 1, 2007 by jasonoliva. This is a tough one to work out. 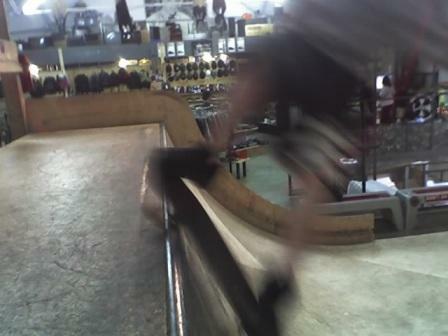 Its either a layback air or an invert to fakie. Tom killed both tricks…What do we think? 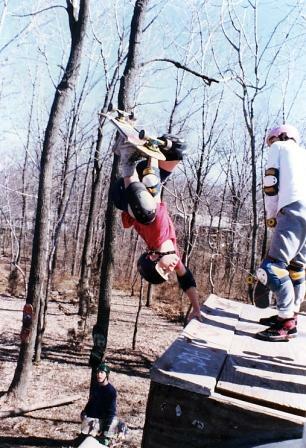 Jason,I think these are both tuck knee inverts to fakie… Straight up, boned out back leg, and straight back… So Sick. 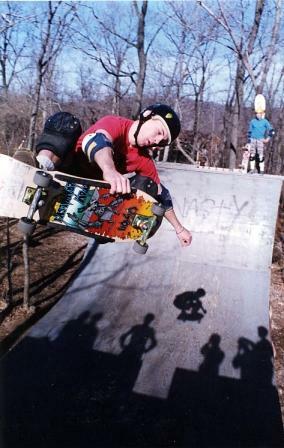 This entry was posted in Cedar Crest Country Club, Dennis Kane, SKATE PARKS:, SPOTS:, TEAM STEAM, The Girl Ramp, Tom Groholski and tagged ART, backyard ramps, boards, cccc, cccc vert ramp, Cedar Crest Country Club, east coast, house of steam, jason, Jason oliva, jasonoliva, New Jersey, New York City, oliva, paintings, photography, pool Skating, ramp, ride, sk8, sk8t, skate, skate decks, skate history, skate photography, Skate ramps, skate trucks, skate wheels, skateboarding, skateboarding history, skateboarding photography, skateboards, skatepark, skater, SKATERS, steam, Steel ramp, Street Skating, TEAM STEAM, The Barn, The House of Steam, thos, Tom Groholski, va, vert, vert ramps, Vert Skating on July 27, 2007 by jasonoliva. 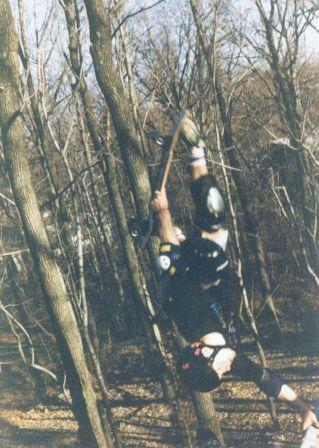 This was a great session… NJ a bit cold barren forest behind a bunch of houses. 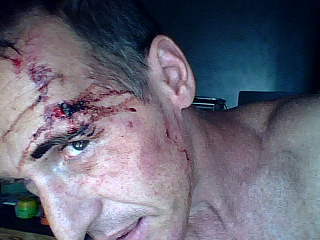 The dead boards nailed to the trees at the Girl Ramp come across kinda Blair Whitchy these days. Sorry I havent been posting as much as usuall been all over the place over the holidays Ill try to get back on track……..
Stay tuned for photo’s, art, and stories from Jim Schezlick’s secret STASH!!!! 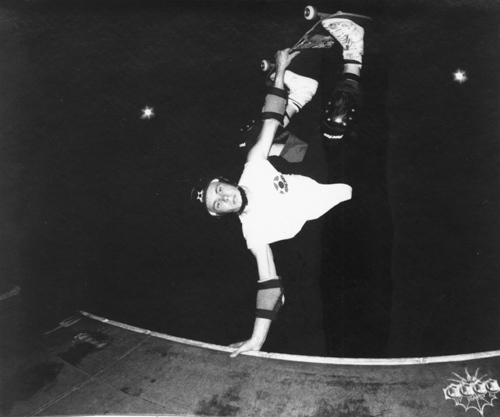 This entry was posted in 1986, Bernie O'Dowd, DJ KING WEEP, DJ VertOne, four 4, Photos by Jason Oliva, Rocky Vertone, SPOTS:, TEAM STEAM, The Girl Ramp, Tom Groholski and tagged ART, backyard ramps, boards, east coast, girl ramp, jason, Jason oliva, jasonoliva, New Jersey, New York City, oliva, paintings, photo by jason oliva, photography, pool Skating, ramp, ride, sk8, sk8t, skate, skate decks, skate history, skate photography, Skate ramps, skate trucks, skate wheels, skateboarding, skateboarding history, skateboarding photography, skateboards, skatepark, skater, SKATERS, steam, Street Skating, TEAM STEAM, The Barn, The House of Steam, thos, Tom Groholski, vert, vert ramps, Vert Skating on January 10, 2007 by jasonoliva. Well here it is in all its glory! While your there please sign the Frappr map and add us to your friends. 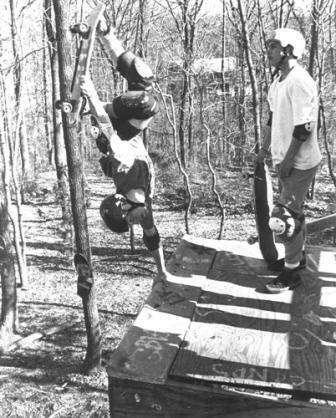 This entry was posted in 1987, 2. 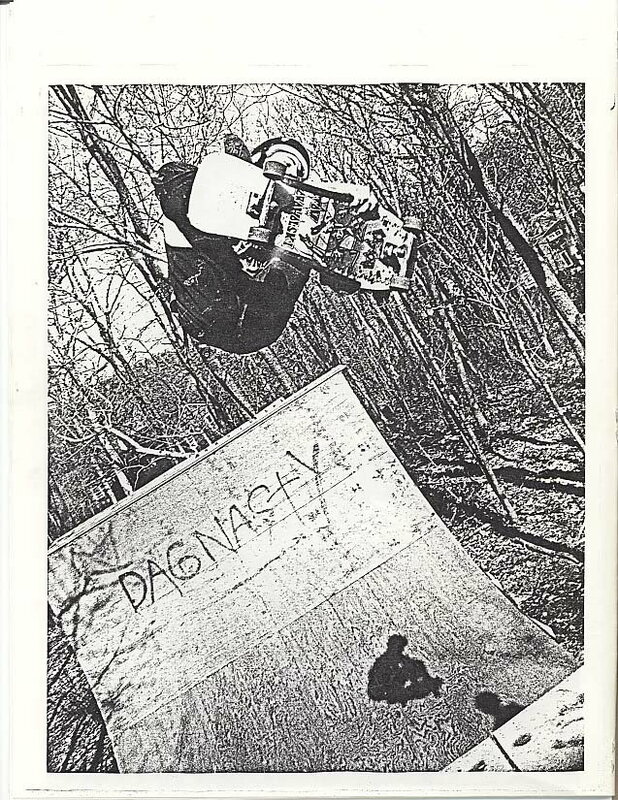 SKATE SPOTS:, Bernie O'Dowd, Dan Tag, Darren Menditto, DJ KING WEEP, DJ VertOne, four 4, Jason oliva, Jim Murphy, Jimmy Kane, Ocean City, Photos by Ben Cornish, Photos by Geoff Graham, Photos by Jason Oliva, Rick Charnoski, Rob Mertz, Rocky Vertone, SKATE PARKS:, SPOTS:, TEAM STEAM, The Barn, The Blue Ramp, The Girl Ramp, The Kink Sink, Tom Groholski, Weeps and tagged ART, backyard ramps, Bernie O'Dowd, chris blank, Dan Tag, east coast, jason, Jason oliva, jasonoliva, Jim Murphy, Jimmy Kane, New Jersey, New York City, oliva, paintings, photography, pool Skating, ramp, Rick Charnoski, ride, Rob Mertz, Rocky Vertone, sk8, sk8t, skate, skate history, skate photography, Skate ramps, skateboarding, skateboarding history, skateboarding photography, skateboards, skatepark, skater, SKATERS, steam, steamboat, Street Skating, TEAM STEAM, The Barn, The House of Steam, thos, Tom Groholski, vert, vert ramps, Vert Skating, Weep on December 8, 2006 by jasonoliva.